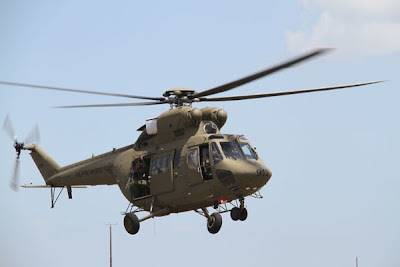 MANILA, Philippines—”Of what use is a combat helicopter if you cannot use its machine gun?” President Aquino asked in his State of the Nation Address on Monday. 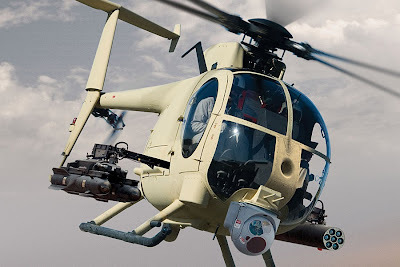 On Tuesday, Defense Secretary Voltaire Gazmin said the purchase of eight Sokol helicopters from Poland would be the last by the Department of National Defense (DND) since they could not be used in combat, after all. “I understand helicopters because I’m a combat officer. The first thing I noticed was, why do you have to remove the machine gun before you can get inside it? The entrance is too narrow, it’s all wrong,” said Gazmin, a former Army Special Forces commander. 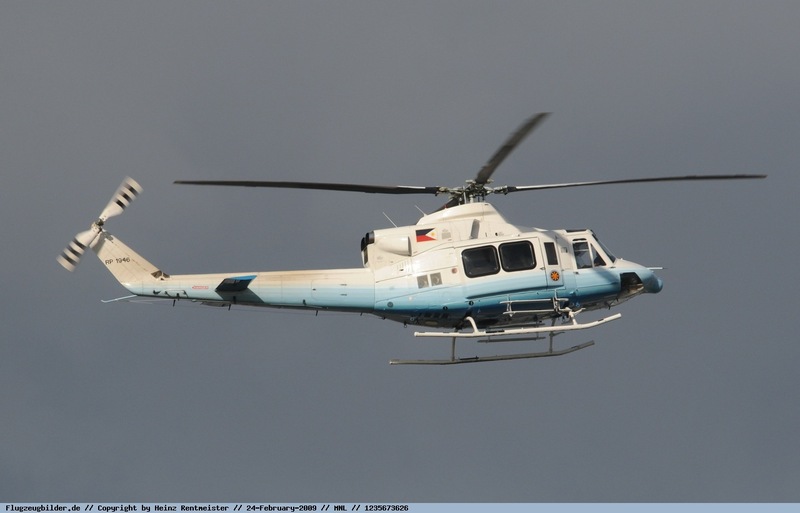 The P2.8-billion deal with Augusta PZL Swidnik of Italy and Poland for eight Sokol helicopters had been signed, sealed and delivered when he assumed office in July 2010, Gazmin said. “We just had to make the payment,” he said. 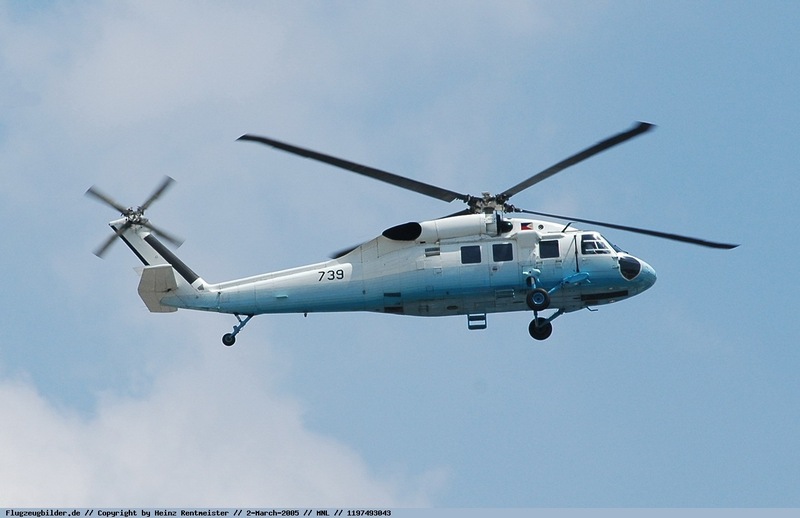 The eight Sokol (Falcon in Polish) helicopters were delivered in two batches in 2012. The contract was finalized during the last months of the Arroyo administration when Norberto Gonzales, the national security adviser, was also defense secretary. 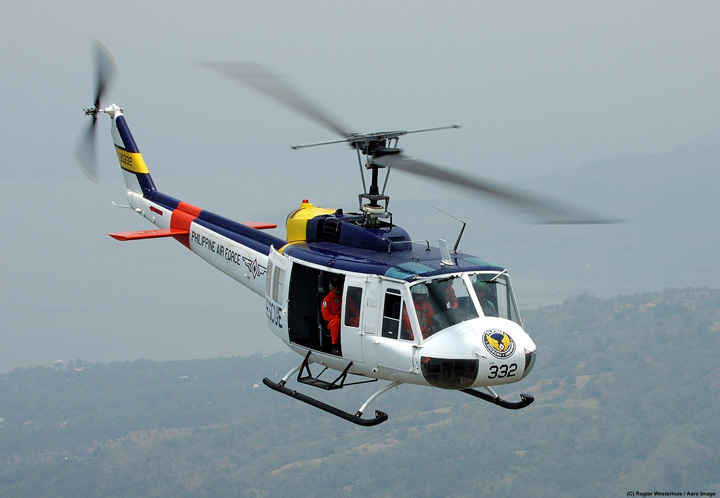 When the first batch of four choppers arrived in March 2012, the PAF hailed the addition to their depleted air assets. The Sokols were supposed to replace the Vietnam-vintage UH-1H Huey helicopters the PAF used in search and rescue, medical evacuation and combat utility missions. But in his Sona on Monday, President Aquino said the helicopters could not be used to ferry soldiers to combat zones because the machine guns were mounted at the door, blocking entry and exit. “If you are a soldier entering the fray at the height of battle, of what use is a machine gun that is set aside and unable to fire? Did no one think about this before the contracts were signed? Why was this even approved in the first place?” Aquino said. Gazmin said he had not made up his mind whether or not to order an investigation and go after those responsible for the purchase of the Sokols even if these did not meet the PAF’s requirements. “We’ll study that. I cannot answer that question yet,” he said. The Philippine Coast Guard is set to acquire a former French Navy vessel worth €6 million to boost its off-shore patrol capabilities in the West Philippine Sea. 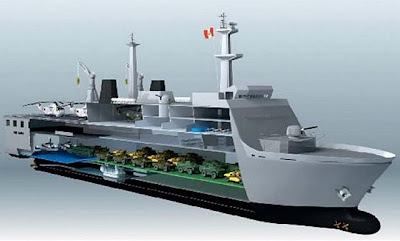 Coast Guard commandant Rear Admiral Rodolfo Isorena said the procurement of 54.8-meter French Navy vessel La Tapageuse has already been approved by Transportation and Communications Secretary Joseph Emilio Abaya. Isorena said the PCG is looking forward to this new acquisition that is expected to boost its capability for maritime search and rescue operations, maritime law enforcement, maritime safety, maritime environmental protection and maritime security. "This French vessel is multi-functional and it would be a major contribution to our fleet. 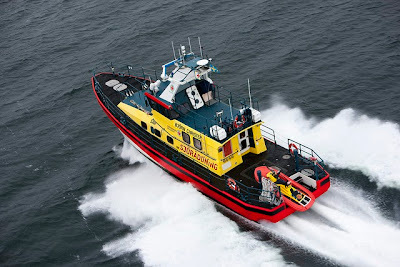 Unlike other vessels that are more appropriate for (Search and Rescue) operations, this soon-to-be latest addition was made for sovereignty patrol and law enforcement", Isorena said. He added the vessel will be deployed to places like the West Philippine Sea, Northern Luzon, and Southern Mindanao. The Tapageuse has a built-in 40-millimeter anti-aircraft gun, a 20-millimeter anti-aircraft cannon, and two 7.62-millimeter machine guns. The PCG will be buying the ship at a reasonable price of €399,000 but the refurbishing of the ship would entail additional cost. The Philippine government will be spending a total of €6.295 million or an equivalent of Php 354,754,000 million. 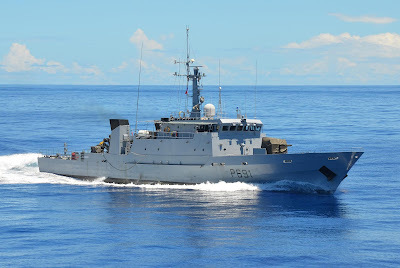 Tapageuse, until recently stationed in Papeete, French Polynesia, is expected to arrive in the country in April next year. 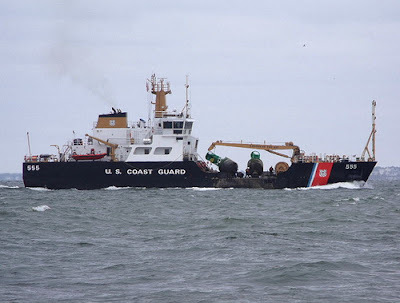 The Coast Guard chief explained that while the vessel is already 26 years old, it was thoroughly inspected last year and it was assessed to have another 20 years of usage yet. The Philippine government is also in talks with French government for four brand new 24-meter and one 82-meter multipurpose vessels. Meanwhile, Isorena also mentioned the construction of 10 multi-role patrol boats with Japan and noted the PCG and the Japan International Cooperation Agency (JICA) is in the last phase of the agreement resolving the issue that five of the boats would be made in Japan and five boats by shipbuilders in the Philippines. “One of the agenda in Japanese Prime Minister Shinzo Abe scheduled visit to our country next month is to finalize the details of the agreement in the construction of the multi-role vessels. We anticipate the arrival of these ships in year 2016”, the PCG commandant said. The country’s maritime law enforcement agency is also anticipating the arrival of at least 25 out of a total 300 aluminium-hull boats this coming September. The remaining 275 boats, manufactured in Subic, will come in a staggered schedule until April next year. The boats, which can seat 10, will be deployed for interisland, coastline and harbor-type patrols. “There have been instances wherein our Coast Guard personnel had to hire the services of a fishing boat in order to respond to a situation and this takes time," Isorena said. He said the deployment of the aluminum-hull boats will improve the PCG's response time. MANILA, Philippines - The Department of Defense (DND) is currently in the market for two 40-foot rescue boat to boost maritime operations, a release said Friday. The agency set aside P20 million from its Quick Response Fund of P232 million for the new acquisition. Winning bidders should deliver the boats within 180 calendar days upon opening of the letter of credit, DND said. The purchase of rescue boats is among the department's recent investments including eight attack helicopters for P3.4 billion and 12 fighter jets for the Philippine Air Force. DND also opened the bidding for two Strategic Sealift Vessels last June. The maintenance crew of the soon-to-arrive AgustaWestland AW-109 "Power" naval helicopters are now undergoing training in Italy. 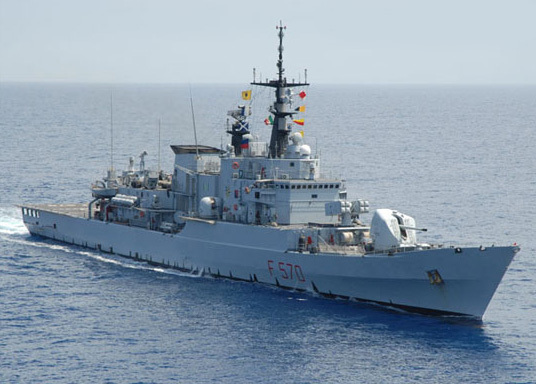 "There are a series of training being held at Sesto Calende, Italy (and) these are avionics and maintenance trainings," Philippine Navy (PN) spokesperson Lt. Cmdr. Gregory Fabic said Tuesday. The first batch of PN personnel who will undergo avionics training have already left last month. "While those involved in aircraft maintenance have already left last week (while) the first batch of pilots will depart for Italy before the end of June," Fabic said. The PN spokesperson added that these specialized trainings vary from two to four months. Fabic said that morale is pretty good at the PN and personnel selected for these training programs are very proud that they are called to serve their country anew. "The PN is also very thankful to the present administration for the continued support that the Navy is receiving," the PN spokesperson emphasized. 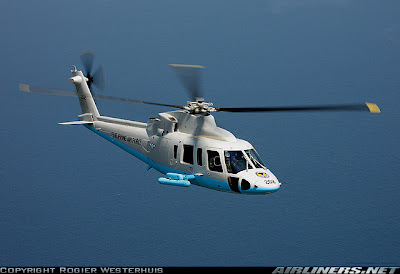 The contract for the three AW-109 naval helicopters were signed last April and will be delivered this coming December. 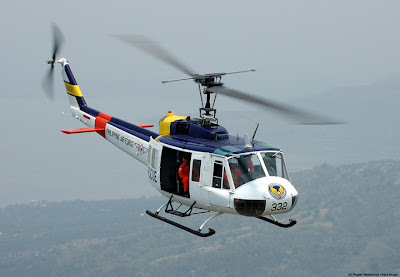 These choppers are worth around P1.33 billion. The aircraft's safety features include a fully separated fuel system, dual hydraulic boost system, dual electrical systems and redundant lubrication and cooling systems for the main transmission and engines. The AW-109 has established itself as the world's best selling light-twin helicopter for maritime missions. The ability to operate from small ships in high seas state enables the AW-109 to perform its mission when many other helicopters would be confined to the ship's hangar. Over 550 AW-109 "Power" and AW-109 light utility helicopters have been ordered for commercial, parapublic and military applications by customers in almost 50 countries. The maintenance crew of the soon-to-arrive AgustaWestland AW-109 "Power" naval helicopters are now undergoing training in Italy. After receiving a warm welcome from the Filipino community in Hawaii, the crew of the BRP Ramon Alcaraz, the Philippines' newest warship, prepared to leave and continue their journey to the Philippines. Photos posted on the BRP Ramon Alcaraz's Facebook page on Tuesday (Philippine time) showed the crew busy making preparations for the trip home. "(The ship's crewmembers are) conducting refueling, coordination on the engineering requirements, admin(istrative) and logistical requirements and the testing of other equipment to be utilized during the voyage," the captions on the photos read. 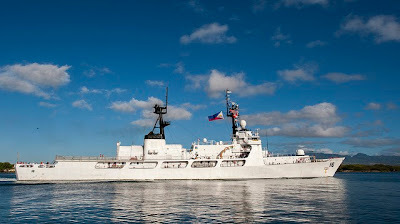 The Department of Foreign Affairs earlier said the BRP Ramon Alcaraz is expected to reach the Philippines on August 3. During its stay in Hawaii, the crew headed by Capt. Ernesto Baldovino toured the USS Arizona Memorial. Last weekend, the BRP Ramon Alcaraz arrived in Hawaii to a warm welcome from the Filipino-American community there. An earlier Philippines News Agency report said Hawaii is the frigate's second port call en route to the Philippines. Last June 28, the BRP Ramon Alcaraz (PF-16) docked at San Diego 28 for refueling and re-provisioning. Following its Aug. 3 arrival, the newest warship may be commissioned in September. The ship is named after Filipino naval hero Commodore Ramon Alcaraz, who gained distinction in World War II by shooting down three Japanese Zero fighters who tried to attack his ship. MANILA, Philippines—Aside from the 15 patrol boats it expects to get from Japan and France in late 2014 or early 2015, the Philippine Coast Guard (PCG) plans to acquire a 52-meter vessel from an unnamed country, the PCG announced Tuesday. “The project has been approved for negotiation by the DOTC. But there’s no timetable yet for the purchase of the patrol boat,” he said. The Coast Guard is a Department of Transportation and Communications-attached agency. Balilo did not go into detail. Last month, the National Economic and Development Authority approved the procurement of the French patrol boats. In October 2012, the PCG announced it was buying the patrol vessels—one 82-meter craft and four 24-meter boats—for around 90 million euros ($116 million or P5 billion). Earlier, Balilo said the new patrol boats would be deployed throughout the archipelago and not just to areas of the West Philippine Sea (South China Sea) being contested by the Philippines and China. MANILA, (PNA) -- Defense Dept. spokesperson Dr. Peter Paul Galvez Tuesday confirmed the Philippines is in the market for eight brand new attack helicopters. He said the acquisition process has been ongoing since last year. Galvez said this upgrade project has a budget of P3,441,460,000 and will be sourced from the General Appropriations Act and the AFP Modernization Act Trust Fund of 2000. The helicopters must have full night operation capability and complete weapons systems aside from integrated logistics support package. 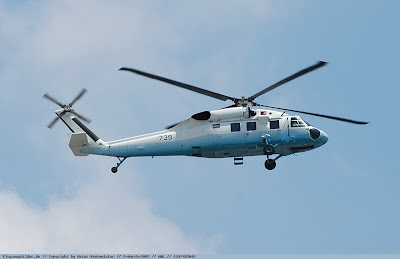 Documents obtained by the Philippines News Agency suggested: "These helicopters shall be capable of performing close air support during day and night, and navigate safely during inadvertent instrument meteorological condition. "Furthermore, they shall be equipped with armaments and avionics system highly suitable for said flying operation conditions. "The guiding principles for this project shall be based on affordability and sustainability while conforming to the requirements of our Air Force in furtherance of accomplishing its mission." Bidders should have completed, within 10 years from the date of submission and receipt of bids, a contract similar to the project. Four groups took part in Tuesday’s conference for the bidding of SSV, a P4-billion project of the Philippine Navy. 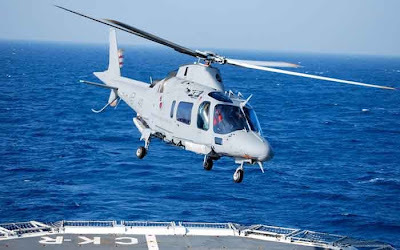 The prebidding held at the Department of National Defense saw groups such as Navantia of Spain, Daewoo of South Korea, Larsen and Toubro of India, and Austal of Australia each appearing keen to win the supply contracts. Defense Undersecretary Fernando Manalo confirmed the pre-bidding procedure. The procurement of two SSVs with a budget of P4 billion and two Maestrale frigates with a budget of P18 billion are among the 24 big-ticket items that President Benigno Aquino III wants to accomplish under the five-year military modernization program. SSVs are multi-role vessels for search and rescue operations that can also be fitted with hospital facilities and a helipad. But the ship’s primary role is to transport a battalion of soldiers with armored vehicles. On Wednesday, Manalo mentioned about the planned procurement of two brand new Maestrale frigates, and told defense reporters that they are now looking for a consultant to help the Navy identify technical specifications for the vessels. “The Navy needs to hire a consultant because the frigates that we want to buy are too sophisticated, that’s part of diligence,” he said. MANILA, Philippines — The Philippines is set to buy two Maestrale-class frigates from Italy, a defense official said Wednesday, as the Asian nation races to upgrade its military amid mounting territorial disputes with China. The frigates, along with 12 FA-50 fighter aircraft, are the most significant items on the government’s P75-billion ($1.7-billion) military modernization budget over the next five years, Defense Undersecretary Fernando Manalo said. “We are modernizing not because we want to go to war with China,” he told a news conference. He said the government had a sworn obligation to defend the “West Philippine Sea,” using the government’s preferred term for Philippine-claimed areas in the South China Sea. 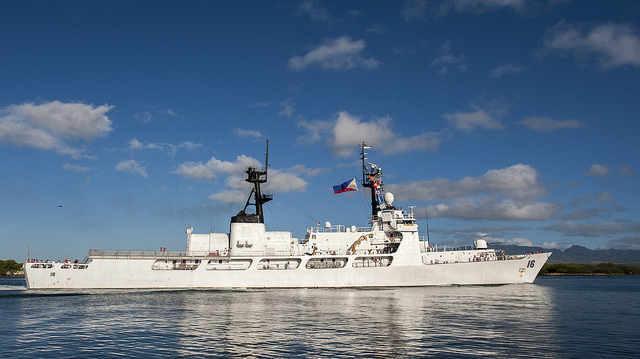 The frigates would add to two refurbished Hamilton-class cutters formerly used by the US Coast Guard that the Philippines acquired from its US ally to upgrade its ageing navy fleet, which includes some vessels that first saw action in World War II. Manalo said the navy had already decided to acquire two new Maestrale-class frigates instead of buying used ones from the Italian navy, and had budgeted P18 billion for them. The Philippines could be ready to tender by the end of the year, he added. Meanwhile, the government had allotted P18.9 billion to acquire the fighter aircraft, which are built by South Korea, he added. The modernization budget also provides for building or improving facilities to berth and provide maintenance to the vessels on the military’s shopping list, Manalo said. 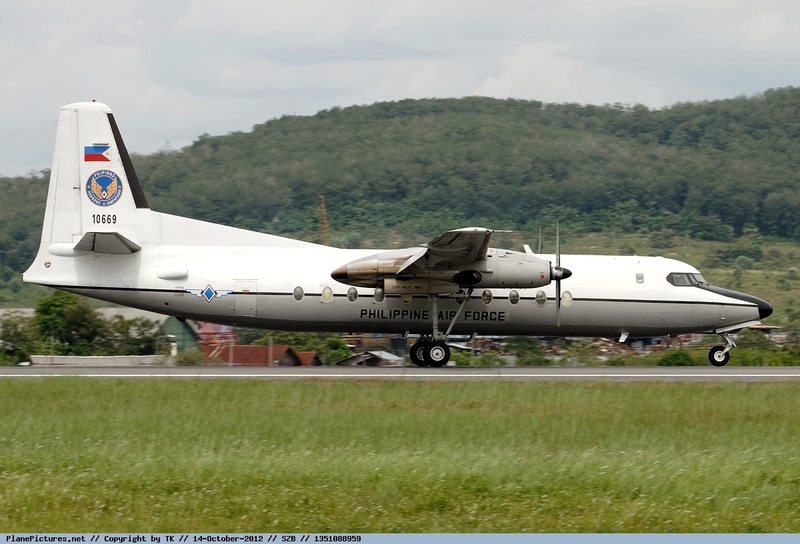 President Benigno Aquino vowed Monday to rebuild the air force by 2016. The Philippines, which has one of the weakest military forces in the region, retired the last of its US-designed F-5 fighters in 2005. In January 2012, Defense Secretary Voltaire Gazmin together with the Defense Acquisition System (DAS) team met with Italian Defense Minister Giampaolo Di Paola to sign a 5-year agreement that was followed by an inspection of the combat-ready defense materiel the government intends to procure such as the Maestrale, a frigate still being used by the Italian Navy. But, Manalo said, the idea to buy second-hand frigates was dropped after a series of further consultations. “Actually, I was with the Secretary of National Defense when we went to Italy to check the Italian package, the Maestrale. Our talks then was that if your intention is purchase any available frigate that you can immediately use without consideration of the cost, the Maestrale will do. But when we evaluated it, [we learned that] although the ship was still being used by the Italian Navy the ship is due for retirement. I think it is more than 20 years old already and its maintenance cost will be too high,” he said. 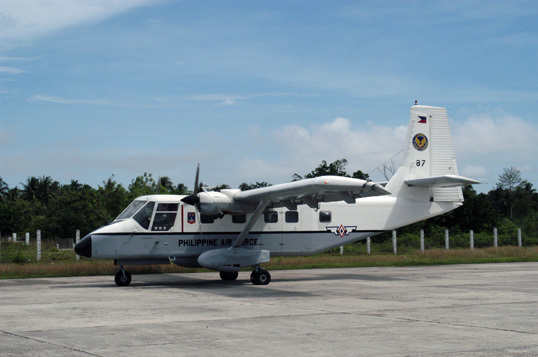 Also on the list of 24 are rocket launchers for the Philippine Army; radar system support facilities, close-air support, combat utility helicopters, flight simulator, and long range patrol aircraft for the Philippine Air Force; and helicopters, multipurpose attack craft, and base support for the Philippine Navy. MANILA, (PNA) -– Swedish-made supersonic Gripen plane is emerging as the next generation of jet fighter aircraft being considered by the Philippine Air Force (PAF) for its long-overdue modernization program. 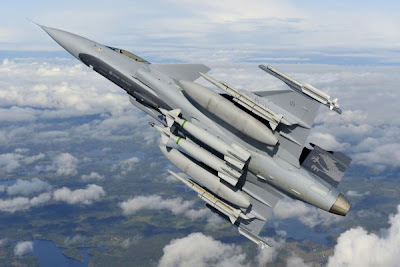 A random interview conducted by Philippines News Agency on Tuesday indicated that PAF pilots prefer the Gripen jet-fighters to other types (of fighter planes) because of its lower cost, yet armed with sophisticated latest stand-off long-range anti-ship weapons and air-to-air missiles. These are highly accurate weapons that can be unleashed even if the target is 80 kilometers away. The air-to-air missiles can be fired beyond visual range of the pilot. Gripen has a top speed of 1,552 miles per hour. Representatives from Gripen were in Manila last month to participate in the annual PAF symposium held at the Mall of Asia in suburban Pasay City. They said they would be happy to sell to the Philippines the multi-role Gripen fighter jets. Gripen is manufactured by SAAB. In its brochure distributed to the press, SAAB says that Gripen is cost-effective, new generation multi-role aircraft in the market. The multi-role Gripen fighter aircraft costs US$ 60 million apiece while other similar planes cost as much as US$ 80 each or more. Thailand has already purchased 12 Gripen jet-fighters while Malaysia is planning to buy the aircraft. Aside from Sweden Air Force which bought over 200 Gripens, other countries that have Gripen in their arsenals are South Africa 26, Hungary 14, Czech Republic 14. The United Kingdom also bought some Gripen planes but there was no mention as to the number of units it acquired from Sweden. Gripen can take-off and land in short runways, cost-effective, tailor-made and top-of-the-line aircraft comparable to the world’s best. “Gripen represents the ultimate in operational efficiency capable of fulfilling a range of roles, either alone or as part of a wider defense network,” SAAB said. It also says that Gripen is “the world’s most agile fighter for close combat. 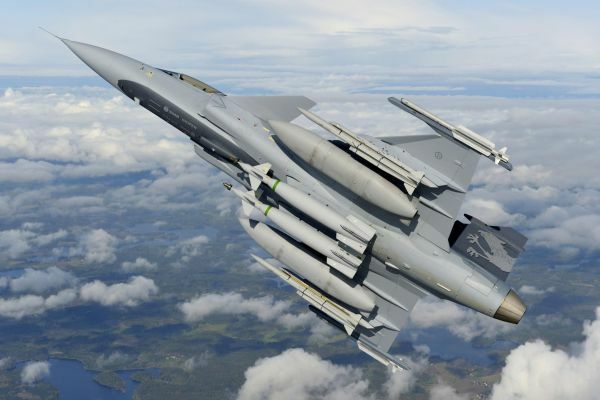 SAAB has incorporated a state-of-the art weapon system as Gripen has look-down/shoot-down capability in air combat in engaging aircraft, missiles, and even the smallest, low-flying targets. Gripen is also difficult to match in any air combat situation. The government is also considering the acquisition of the Korean-made jet-trainer plane that can also be used as an interim fighter aircraft. It may be recalled that shortly after World War II up to the ‘70s, PAF was second to none in Southeast Asia in terms of air power. But PAF has degenerated into weakling Air Force after it had phased out its fighter aircraft such as the F-86 Sabre jets, F-8 Crusaders and the F-5 “Freedom Fighters” without any replacement to date, exposing Philippine airspace unguarded since 2005 when the last of the F-5 jets were retired for good without replacement. As a consequence intruding foreign aircraft enter Philippine airspace without being intercepted. Lt. Gen. Lauro Catalino dela Cruz, PAF commanding general, has been calling for the modernization of the Air Force to meet the security needs of the country. Seeing the predicament of the Air Force, President Benigno S. Aquino III on Monday vowed to provide the PAF with jet fighters, radars and other modern equipment before he steps down from office in 2016. “I assure you that before I step down from office, our skies will be guarded by modern air assets,” the President said in a speech during the 66th PAF anniversary at Clark in Pampanga. The President said the amount of P75 billion has been appropriated for the implementation of the New Modernization Act of the Armed Forces of the Philippines (AFP) for the next five years. CLARK, Pampanga, Philippines – Soon there will be no more jokes about the Philippine Air Force (PAF) being all air and no force. President Aquino vowed yesterday to modernize the PAF through the purchase of new and modern aircraft from a P75-billion fund before he steps down from office in 2016. In his keynote address during the PAF’s 66th anniversary here, the President said that in the first 19 months of his administration, he had allocated P28 billion for the modernization of the armed forces, nearly equal the P33-billion combined allocations from the three previous administrations. 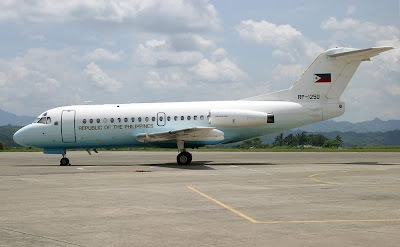 “Be assured that before I step down from office, our skies will teem with new and modern equipment such as lead-in fighters, long-range patrol aircraft, close air support aircraft, light lift fixed-wing aircraft, medium lift aircraft, attack helicopters, combat utility helicopters, air defense radar and flight simulators,” Aquino said. The Philippines, a former US colony, retired the last of its US-designed F-5 fighters in 2005 and lacks air defense. The President said the passage of the AFP Modernization Law has allowed the government to allocate P75 billion in the next five years for the upgrade of equipment and other related requirements of the armed forces. “We cannot forever rely on repair and rehabilitation of equipment. Every time an air force plane flies, it’s not only the success of the mission that relies on the aircraft but also the lives of our pilots,” he added. The President nevertheless lauded the air force’s capability to repair and rehabilitate its existing aircraft. He cited in particular the 140th Maintenance Wing which has earned ISO certification for its capability to repair and rehabilitate old military airplanes, including a C-130 Hercules, two N-22 Nomads, one F-27 Fokker, one Cessna 210, one MG-520 attack helicopter, and one UH-1H helicopter. The Air Force, for its part, expressed readiness to defend the country’s territory even as it admitted that such task poses a huge challenge. Air Force chief Lt. Gen. Lauro Catalino de la Cruz said the challenge lies in the vast waters and air space of the Philippines as an archipelagic nation. THE Philippine Army is planning to purchase a number of self-propelled 155mm artillery to bolster the country’s territorial defense capability, defense and military sources told Manila Standard Today. The sources did not disclose how many guns are being considered, but Army chief Lt. Gen. Noel Coballes is pushing for the acquisition of a computerized autonomous truck-mounted 155mm artillery system produced by the Israeli defense contractor Soltam Systems. 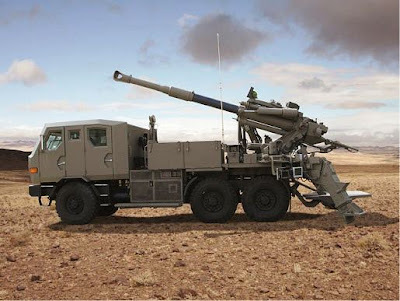 The military already has 14 Soltam M-71 155mm towed howitzers, 12 M114A1 155mm towed howitzers and hundreds of 105mm howitzers, including 12 that were recently donated by the Italian government. One source said the delivery of 12 more 155mm howitzers of unspecified make has been delayed and Coballes wants to junk the order and replace it with advanced wheeled howitzers made by Soltam. 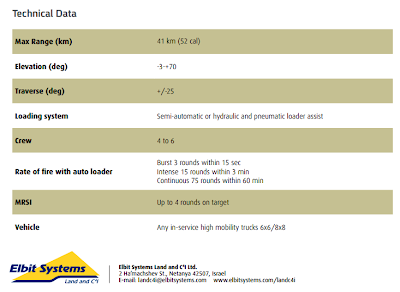 The system is called Autonomous Truck Mounted System (ATMOS) 2000, a long range, fast moving, truck mounted howitzer with high firepower and mobility, rapid deployment, short response time, operable in all kinds of terrain. 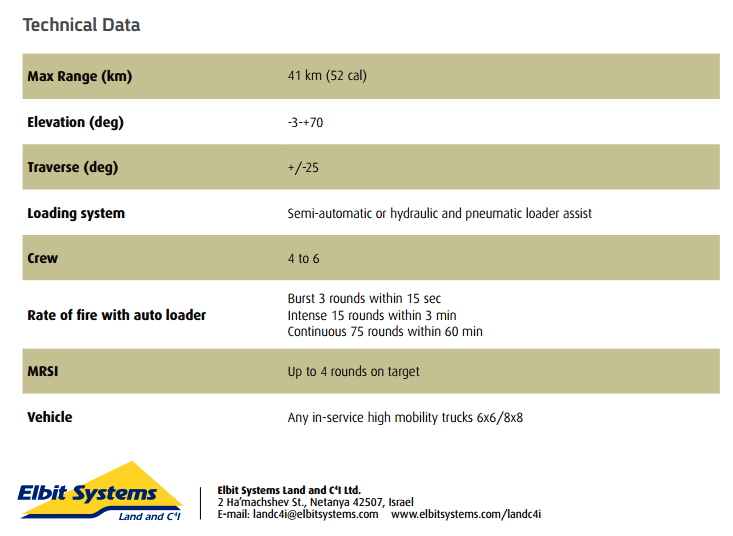 The system is integrated with a fully computerized system, providing an automatic control, accurate navigation and target acquisition, the system is offered with various gun calibers, but the military is interested in the 39 calibre, or 155mm. However, the source said the ATMOS 2000 will likely need the approval of the Department of National Defense because the cost of the system may surpass the P50-million cap given to the Armed Forces chief of staff. Moreover, the source said the project may pose a “little problem” because the prime movers, or artillery tractors, of the 12 155mm guns that the defense department ordered three years ago from an unidentified overseas supplier gas already been delivered. “I think there are at least 12 prime movers – those big military trucks you saw during one of the presentations made by the AFP – have already been delivered,” the source said. “If are they going to scrap the purchase and delivery of the 12 cannons, what will they do with the prime movers that are already with the AFP?” he asked. A second source confirmed said that six of the prime movers are with the Army while the other six are with the Marines. When aslked to confirm the planned artillery purchase, Armed Forces spokesman Brig. Gen. Domingo Tutaan Jr. declined to confirm or deny the proposal. “I am not at liberty to discuss the specifics of the AFP Modernization program much more the details and types of armaments to be acquired,” he said. But a third source said Department of National Defense Assistant Secretary Patrick Velez left for Istael last week along with representatives from the different armed services to shop and possibly initiate purchase agreement with suppliers. Among the items in the agenda is the possible acquisition of surface-to-air missiles (SAMs) or multiple launch rocket system (MLRS) from Israel Military Industries Ltd. or Rafael Advance Defense Systems, the source said.